When you wrote to me on July 23 to tell me you and George Koerner couldn’t to make it to Sage Summit 2015, we were in a bit of disbelief. Sage Summit without Jann and George? You’ve been attending with us for so long that it wouldn’t be the same without you. Your fellow member of Team Squeaky Wheel, Monica Stancik, was really disappointed and quite a few of our other customers asked about you, too. But we were all sad with a sense of understanding: We all know what it’s like to have to miss an important event because our duty to our jobs dictates it. You guys weren’t the only ones who had to cancel (or not register in the first place) because there was just too much to do back at the office. The term ‘ERP’ is leaving the Sage lexicon: Ok, they were a bit more melodramatic in the keynote, when they basically said ERP is dead. However, the more appropriate translation is that the term Enterprise Resource Planning is 25 years old and no longer describes everything that Sage’s business systems can do. (It’s kind of like me still saying I’m going to “tape” a show on my DVR instead of saying “record.”) And let’s face it: Sage X3 is a much more streamlined title than Sage ERP X3 Version 7. To say that Tuesday started off with a bang would be an understatement. Right out of the box, the new Sage international CEO, Stephen Kelly, hosted the first Featured Conversation with Gen. Colin Powell and Deepak Chopra. While some people may have thought these two men may have opposing viewpoints on many things (Chopra to Powell: “I’m a lover, not a fighter.” Powell’s response: “Fighters can be lovers too.”), their philosophies were similar: Be a perpetual optimist, take care of the people around you, take risks, and have compassion. Lanee Kirby from Industries of the Blind Greensboro did a great job in this panel discussion! Jann, I know we all take these kinds of messages with a grain of salt. But here’s hoping that Kelly is as sincere as he seems. Also, Lanee Kirby from Industries of the Blind Greensboro was awesome on her session panel, “Full STEAM ahead: inspiring girls to get involved in science, technology, engineering, arts, and mathematics.” She was a bit thrown off by the topic changing from when we first brought the idea to Sage last year, but she was still great! The audience participation was amazing in this session — they basically had to kick us out of the theater because the conversation kept going. I know you would have enjoyed this topic and this session. 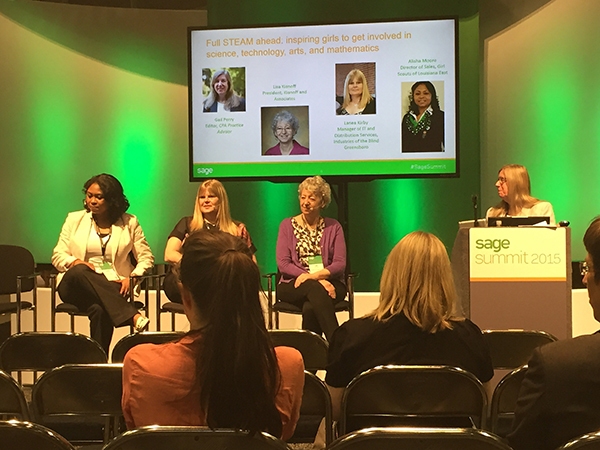 This was my longest day ever at Sage Summit, but it was also my best day ever at Sage Summit. My day started out at 6:45 a.m. walking in 90 percent humidity to Cafe du Monde and Beignets with the Boss. Free beignets and a chance to meet Stephen Kelly? Yes, please. It’s hard for someone who’s 5’3″ to take a selfie with someone more than 6′ tall, like Sage CEO Stephen Kelly (right). It was a nice little event that wasn’t very well attended. (There were some theories mentioned in hushed tones about what attendees may or may not have participated in the night before.) However, the small numbers made for a better event because Kelly had a bit more time to spend chatting with everyone there. And I had the opportunity to do two things that I was hoping I would get to do: I got to take a selfie with Stephen Kelly and I introduced him to one of our customers. Samuel Keeler and Edward Darrow from Jolly Farmer joined me for Beignets with the Boss, and they had a chance to explain a bit about their young plant operation. I think we were a little surprised when Kelly said that he would love to visit their operation in New Brunswick during his planned trip to Canada. Pretty cool, huh? 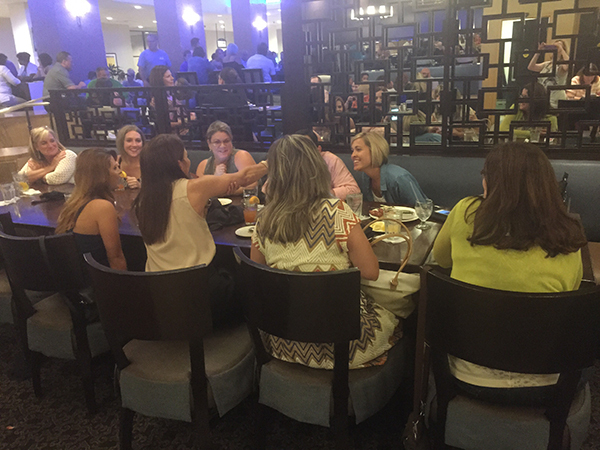 The Construction and Real Estate section were yukking it up big-time during dinner. Was so great to hear their laughter mixed in with the rest of the conversation over dinner. As you know, we couldn’t get a room in the convention center, so we had our meeting at the restaurant. We had thought about doing it previously, but we’d finally get a chance to see how this worked in action. And Jann, aside from Greg Lafferty having to repeat everyone’s introductions, it couldn’t have gone any better! (I’d be remiss if I didn’t mention how great the staff was at Drago’s Seafood Restaurant for working with us to coordinate the serving of appetizers and entrees with the timing of the meeting. Their whole staff treated us like gold!) Instead of the meeting feeling like a yet another session at the end of a long enough day as it is, it was way more relaxed and made for a great atmosphere. Also, since the meeting and dinner were combined, it made it easier for the folks we invited from Sage to stay for the whole evening. This gave them a chance to actually visit with everyone (a novel concept, right?) instead of giving just a five minute speech to say how great everything’s going at Sage. The best example was Olivier Cuvillon, the senior director of sales for Sage. As luck would have it, Olivier sat across from Monica Stancik at dinner. Jann, you know darn well that Monica was not going to hold back from giving her opinions to Olivier. I couldn’t hear what they were talking about, but it looked like they had a great chat over dinner. As you know, Monica’s already of the Customer Advisory Board for Sage 500, but it was a great opportunity for her to share her views with someone higher up the chain. However, I was most impressed when Olivier went around the room and spoke to everyone. And I mean EVERYONE. And it wasn’t just a, “Hi, how do you do?” He stopped and chatted with everyone — even our CRE and HRMS customers — for at least five to 10 minutes. He listened intently and he took notes. And he never seemed harried or disinterested. I never got the feeling that he felt like he would rather be anywhere else. What more could you ask for? 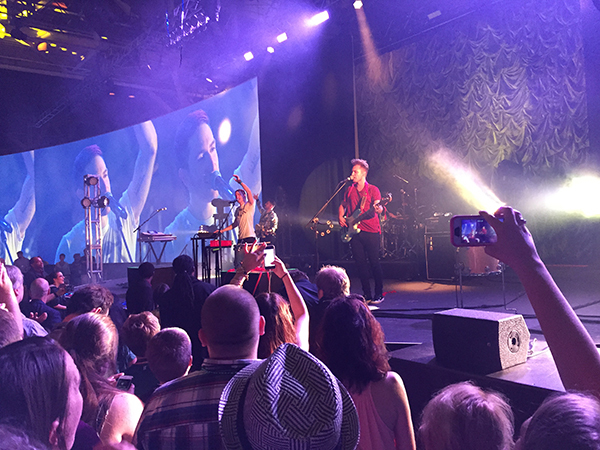 Walk the Moon played a set to cap off Sage Summit 2015. The closing celebration was also a blast. I’d never heard of Walk the Moon before Sage announced them, but they had a pretty good vibe. (I told someone they sounded like someone married the lyrics of a ’60s band with the sound of a ’90s band.) Greg Lafferty and I had an interesting discussion on whether Sage should have a retro band for the final celebration rather than a current act, but that’s a conversation for another day. Even though I’ve only been to three Sage Summit events, this may have been the best one ever. (Monica will be able to give you a better opinion on that one, Jann.) That’s not to say it was perfect, and I think even Sage would admit to that. (The “open-air” sessions worked well in different corners of the trade show floor, but not right on top of each other in a room with no sound dampening.) And other complaints I heard from customers were relatively minor: They want more hands-on sessions and sessions that focus on how to use their software more effectively. But no matter what, I’ve always said that attending a conference isn’t just attending sessions or networking or the surrounding events. It’s about the relationships that we’ve built, whether it’s partner to customer, customer to customer, partner to partner, or Sage to everyone. Nothing brings people together from different walks of life (or different walks of industries) better than meeting around the dinner table. That’s why every time I looked down the table at Monica and Olivier, I half expected you to be right along with her, laughing and having a good time. You’re a big part of our community, Jann, and we missed your presence. 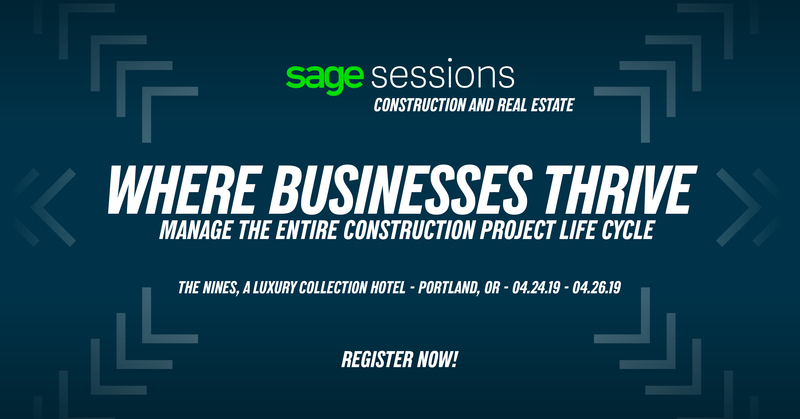 I know it’s not the same, but I hope you’ll be able to join us next week for Tuesdays with Practical when we have our annual Sage Summit recap meeting. It’s obviously not the same thing as attending, but at least we’ll all be there together. 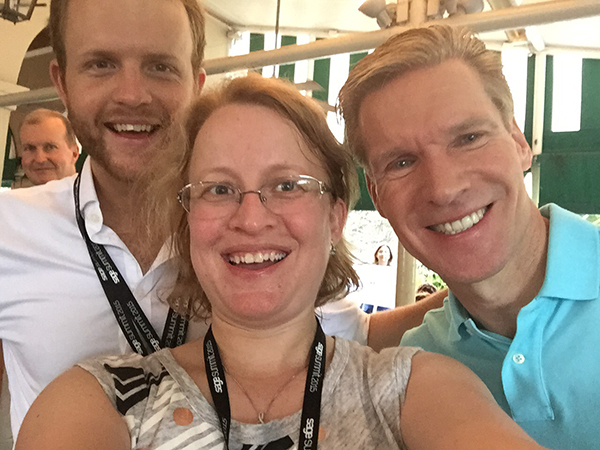 Thank you to Practical Consulting and all their customers for joining us at Sage Summit 2015! And thank you, Amanda, for bringing the hightlights to life so well. If I may add a reminder that anyone attending Sage Summit 2015 can register now for 2016 at a $99 alumni rate which expires end of August. Jann and George – so sorry you couldn’t make it this year but I’ll extend you the $99 offer too if you plan to join Sage Summit 2016 in Chicago! Wowie, Danielle!! Thank you so much for extending that offer to Jann and George!! They’ve been going to Summit for years, and I know they’ll be honored to have the alumni rate extended to them. Great recap Amanda! You really captured all the highlights. I love the style of how you addressed it to great customers like Jann and George. I was nodding my head the whole time while reading it thinking “yup that’s what happened, that’s what I saw too, described well”. Xlnt stuff!